We are building a great team of designers, coders, writers and marketers. Are you experienced in one (or more) of these skills? Are you a new graduate with a lot of knowledge; but having a hard time landing that first job? Well we are looking for you. 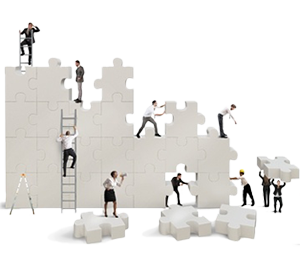 At Tier Strategies team is everything, we work closely together on every project. In fact, from day one your opinion is sought and valued. We share lunches, have fun activities and laugh a lot. However, when it comes to our work we are professional and passionate. Our philosophy of business and the workplace is a little bit different. First, our promise to clients is to treat their design or marketing project as if it was ours. We take ownership and invest ourselves in the clients' success. This may mean exceeding the hours allocated, or staying late to hit a deadline. Most assurdedly, it means we will apply past experience and brainpower to uniquely solve their problem. In short, we do whatever it takes to reach their objectives and hopefully far surpass. Second, team members become mini-entrepreneurs. Work should be challenging, fun and rewarding and that is the atmosphere we create. Everyone has certain production goals and bonuses are based on this. Additionally, you do not have to ask permisssion to go to the dentist, or leave early to cart your kids around. To a great extent your schedule and how you work is up to you - considering that you hit your goals. Third, we encourage every team member to improve thier skillset. You will have work time dedicated to reading, webinars and attending local events so you are constanty growing professionally. Occasionally, we attend national seminars which is a great learning experience and a break from the normal schedule. Tier also cross trains team members. If you are a coder and have a desire to write copy - go for it. We want to allow you every opportunity to excel. Send an email with a short note detailing why we should talk to you and how to get in touch. So, you have to sell yourself. You will be emailing the owner directly. Please don't call to ask if we have received. Brad will follow up within 1 day (or less) - guranteed. If you don't hear back then call sometimes emails do not go through. Also don't send a resume, you can bring one when we meet. Contact us at the address below. We look forward to talking with you. We enjoy talking strategy and design. So we provide a no cost, no hassle consultation, allowing you to evaluate us.